The head office of EGEDA is located in Madrid, Spain. EGEDA began rights management activity in 1992 and since then, we have opened branch offices in other locations in Spain, such as Barcelona and San Sebastian. 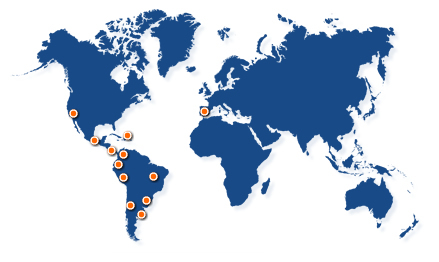 EGEDA has set up societies in Argentina, Chile, Colombia, Ecuador, Perú, Uruguay, and Mexico for the joint management of producers’ intellectual property rights in those countries.